Warnemunde is an attractive seaside resort near the entrance to the town of Rostock, once a spa resort in the 19th century. Stroll around the cafes and bars in this charming resort, or if you'd like nothing more than a spot of sunbathing then the long sandy beach is the ideal spot for you. Climb more than 100 steps to the top of this 100 year old lighthouse, at more than 100 feet high it offers a view of the town's Alter Strom and sandy beaches. Built in the 1960's the Teepott is one of the famous landmarks of Warnemunde with its Hyparschale curved roof, this popular building is home to restaurants, shops and a sea voyage exhibition. The Brandenburg Gate was formerly used to represent the separation between East and West Berlin, since the Berlin Wall came down in 1989 it has come to symbolise German unity. 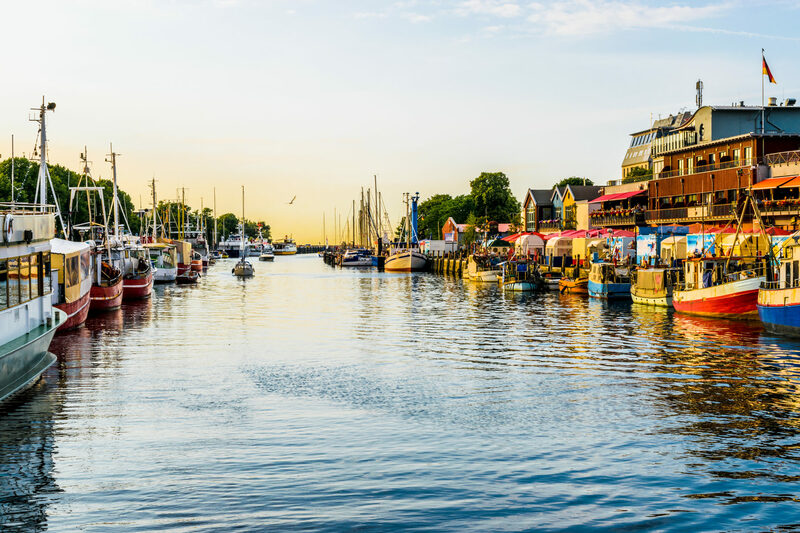 Rostock is the largest city in Mecklenburg-Vorpommern, its considered one of Germany's most beautiful Hanseatic cities, characterised by gothic brickwork, gabled houses and awe inspiring churches.